A gin based cocktail, perfect for summer. Bombay Sapphire gin swizzled with fresh lemon and sugar, drizzled with De Kuyper Blackberry liqueur. The Bramble was created in London in the 1980s. Refreshing taste, with fruity notes of wild blackberry. Gently swizzle. Drizzle blackberry liqueur. 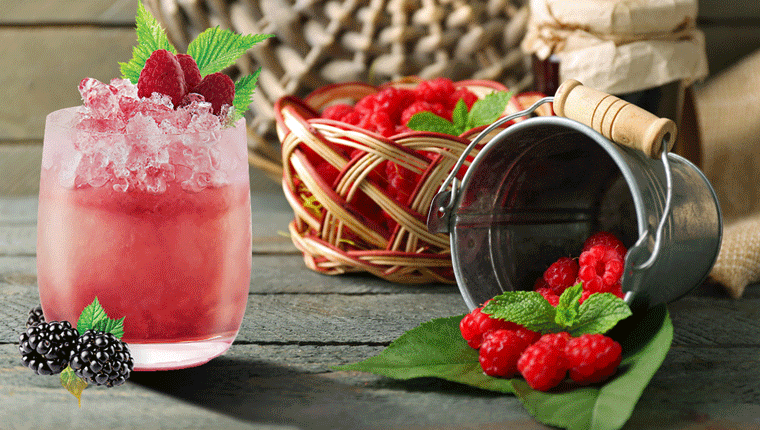 Garnish with 3 fresh raspberries.